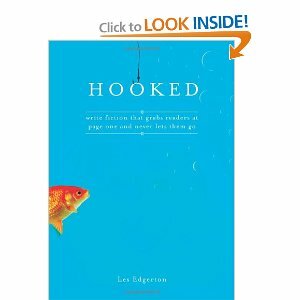 Besides loving Les Edgerton’s style and voice in general – the information in this book is a must have for anyone and everyone in the realm of fiction writing. An unfortunate but true fact is that most editors and agents won’t read past the first page – or five if they’re feeling generous – if the story hasn’t hooked them. There’s exceptions to this, obviously, but best not count on hitting that rare editor/agent that’ll read past that without a darn good reason to. Gone are the days where writers could leisurely set the scene and go over a character’s history (and good thing too I say! How dull!). Les takes the art of writing stellar, gripping beginnings and breaks them down – complete with examples. He’s easy to understand and his advice is, as usual, spot on. This is a book I plan on keeping and re-reading each year to keep his advice engrained! I love Les’s style and his book “Finding your voice” is absolutely great! I also have “Hooked” on my Kindle, but haven’t yet gotten to it. Can’t wait! Yes! His advice in Finding Your Voice is fantastic. It’s one of my favorite writing books. Now that you remind me, I should review that one too. I’m just plain delighted you found my little blue book helpful! And, thanks to Vero also for your nice words. You folks just made my day!